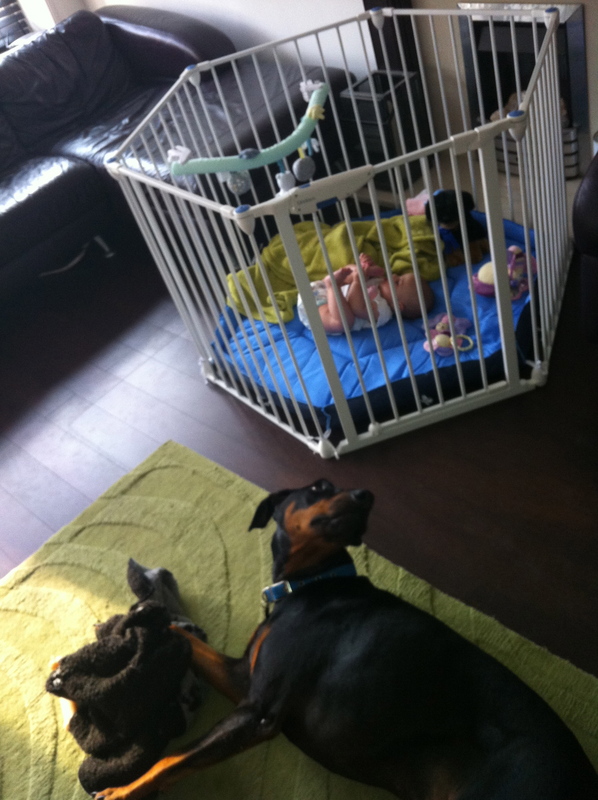 Inspired by my previous post about introducing my dog to my baby, I wanted to share my favourite two products I recommend, if you are raising a baby and own a dog too. It might be pricey but this is hands down the most useful thing we’ve bought so far, so has paid for itself many times over. 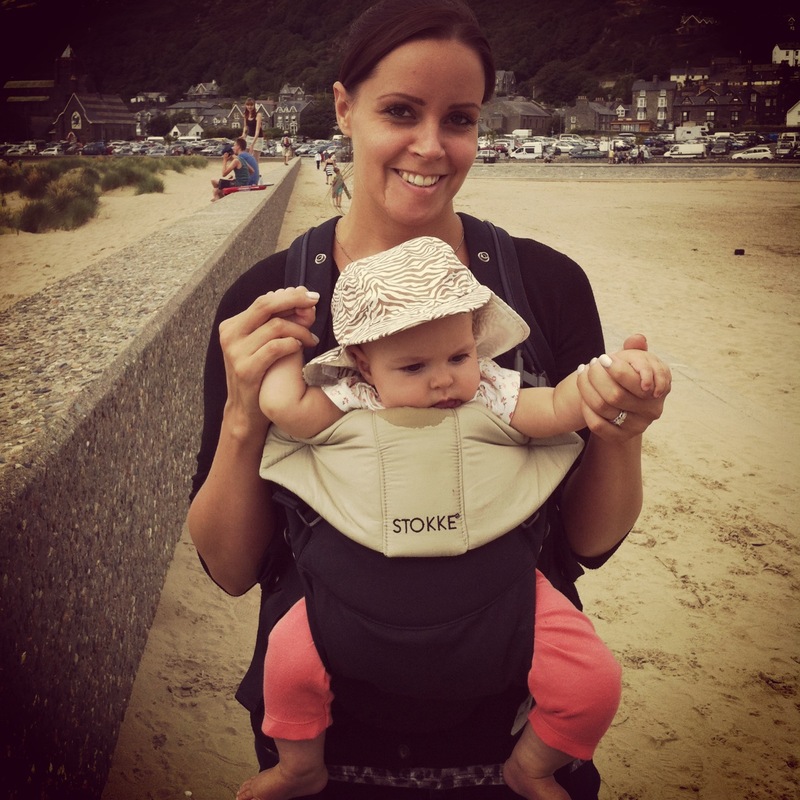 We chose the Stokke Baby Carrier due to the quality of the design and the ‘happy hips’ position it holds the baby in. 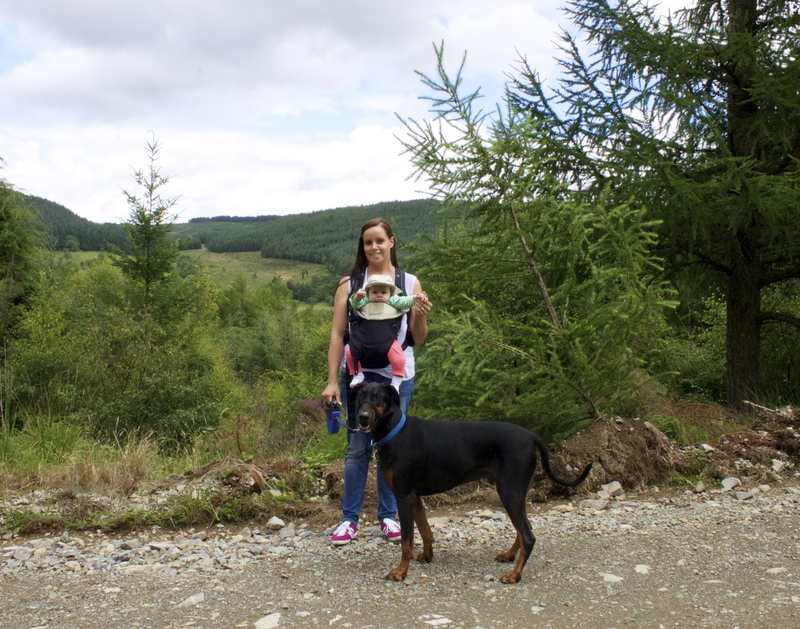 We used it right from when our daughter was just a few weeks old so we could all take Lupo for walks together. Now she can hold her head up she faces forward and absolutely loves it. She will shriek with delight at watching Lupo running about in front of her, and as she now weighs over a stone, it’s a great workout for whoever is carrying her too! As well as walks in our local woods, we also used it for a week in Wales this summer. It’s much easier to navigate busy streets without a pram and hold a dog lead at the same time. The only downside is that she dribbles all over it at now she’s teething, but I’ve just noticed on the website they have released a bib to solve this very problem! We’ll be using the Stokke Baby carrier for as long as we can and it still looks like new so I’ve no doubt it will last if we have more children. Next up is a brilliant play pen we purchased from John Lewis. Perfect if your baby is happy to lie down and entertain themselves and you need to do something in the next room, you don’t have to worry about your dog being able to get to them (providing you haven’t got a dog that jumps up I suppose). Made from metal and also doubles up as a room divider, this play pen from Lindem features a gate on one panel so you can reach in to pick your baby up. It also comes with a super soft mattress, that ties to the panels. It’s great to house all the fluffy toys and blankets we seem to accumulate downstairs, and stops Lupo from stealing them and making a nest with them. Yes, really. It’s quite big so you’ll need some room to house it and it will block your TV view as it’s so tall, so get the tape measure out before you purchase. We don’t use our gas fire so it will stay there permanently. I can see this product being useful until our daughter learns to open the gate, so hopefully a few years yet! Do you have any can’t live without products? Share in the comments below!